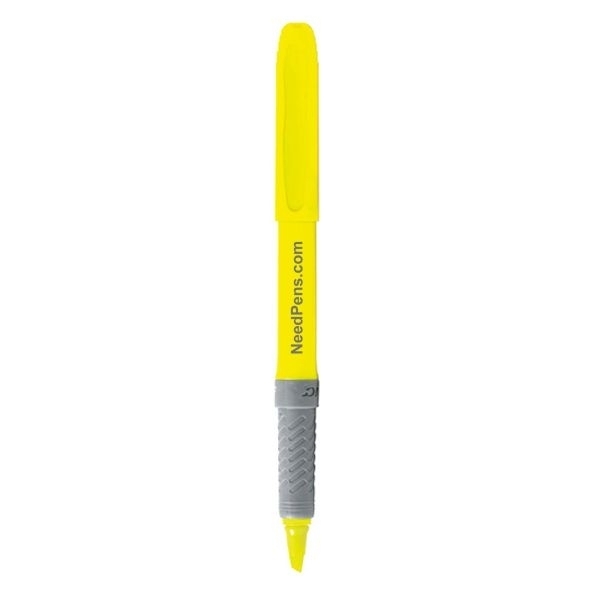 This classic piece will "highlight" your campaign and get lots of use! 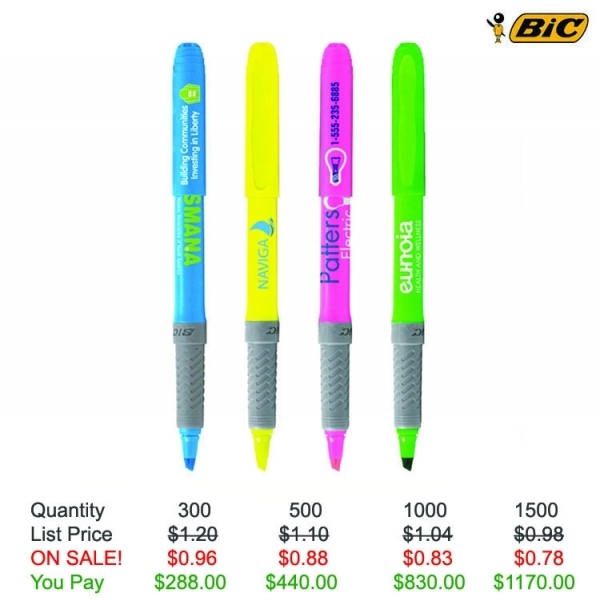 The BIC (R) Brite Liner (R) Grip highlighter marker with gray textured rubber grip will appeal to everyone from students to executives. The ink color matches the highlight color. 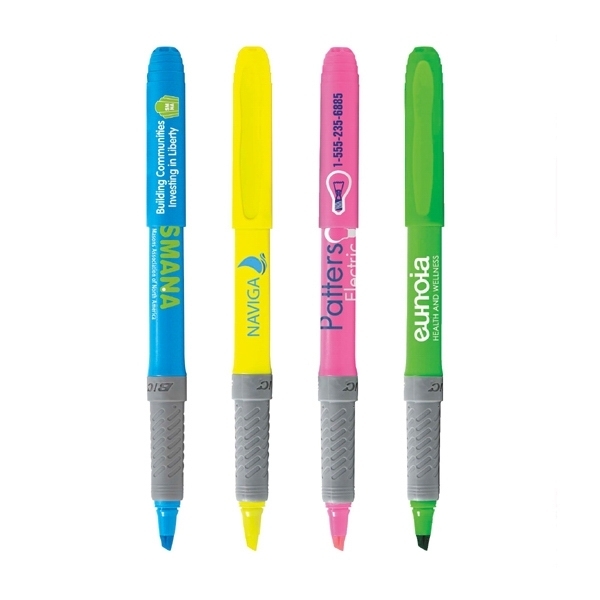 The highlighter features a bright barrel and ink colors as well as multiple imprint options. This non-toxic marker is assembled in the USA. Order yours today! Shipping Weight: 11 lbs. per 400 - FREE Shipping!